The Ojibway and essiac connection goes way back. The Ojibway have a strong connection to essiac tea and without them, essiac may not be available for all to use and enjoy today. The Ojibway live stretching for thousands of miles from southeastern Ontario to across the upper Great Lakes country of the United States and Canada. Native to their culture is the use of herbs as medicine. Essiac is no exception. The Ojibway are classed as one people in the Algonquian linguistic family, but they have several alternate regional names, and are also divided into over a hundred separate reservation communities. They are well known for their expertise in herbal medicine, including being in possession of the much-heralded essiac tea formula used widely for cancer treatment. There are approximately 200,000 Ojibwas today. The majority of them live in Canada. There has been a variety of forms of their name over history, which can make studying their history confusing. Depending on its division into syllables, the Ojibwa name has been interpreted as a reference either to the puckered toe of the Ojibwas' distinctive moccasins, or to their use of glyphs to inscribe historical and religious information as well as simple messages on birch bark or rock surfaces. The name has no standard spelling in English and has changed into Chippewa according to the U.S. government's recognition of them. The French first encountered Ojibwas at the falls of the St. Mary's River, which is the connecting link between Lake Superior and Lake Huron at the eastern end of the Upper Peninsula of Michigan. 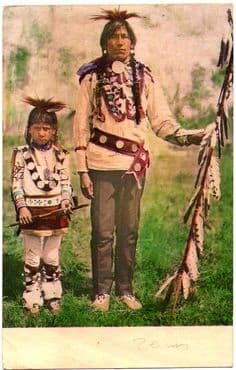 Because they were associated with this location, Ojibwas were known to the French as "People of the Falls," or Saulteurs. The people in the western part of Canada still refer to them as the Saulteaux. Click here to learn more about the history of the Ojibway and essiac tea. 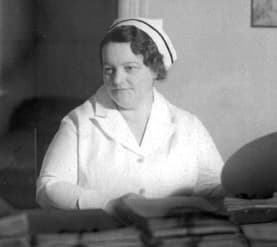 In the early 1920s, Rene Caisse was employed as head nurse a hospital in a northern Ontario town. While on duty, Rene encountered an elderly lady and noticed that one of her breasts had a lot of scar tissue on it. Upon questioning the woman, she learned that she had breast cancer many years prior. The woman explained that she had met a Indian medicine man who told her he could cure her cancer. She said that she had no money at that time for surgeries so she went to see the Indian. He showed her certain herbs growing in the area and told her to pick them and make a tea and to drink it every day. Her cancer never came back. Right after that time, Rene named the formula 'Essiac' after her own last name spelled backwards. So this is the story of how the ojibway and essiac are connected!